We will be featuring your stories here. 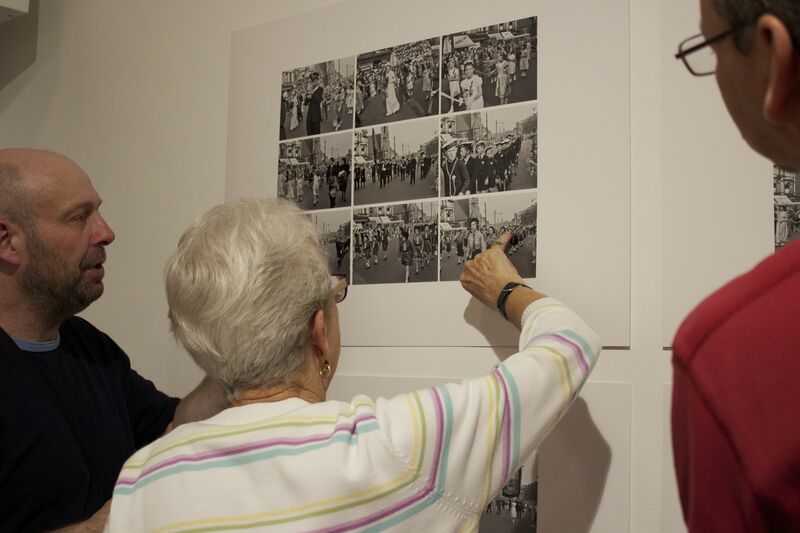 If you would like us to feature a story relating to a memory you have of the photographs, please get in touch. 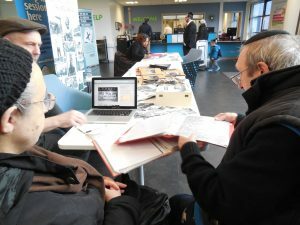 Ernest Pennington came to visit the Salford and Cheetham Hill In Focus at People’s History Museum and spotted some familiar faces from his past in one of the pictures. “I lived on Coke Street and went to North Salford Boys’ School on Leicester Road, Higher Broughton,” he said. 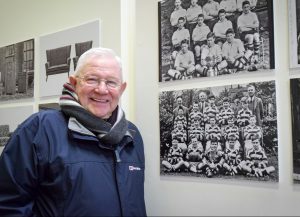 “There was a photo of the school rugby team with a trophy that brought back memories for me. I remembered the teachers who are in the photo and also recognised some of the team, including the lad holding the cup.” Thanks to Ernest, Barry Bridgen (see below) and others, we have now been able to identify most of the people in the photograph. See the original image here. Barry Bridgen had a shock when he looked through a copy of the Salford and Cheetham Hill In Focus book – he was looking at a photo of his old school rugby team. Barry had called into Langworthy Cornerstone Community Centre to look at our exhibition of images of Salford Schools. It was when he picked up a copy of our book that he made the discovery. “I was at North Salford Secondary School and the picture must have been taken around 1963, when I was 13,” he said. “I lived on Devonshire Street, Higher Broughton at the time and I can still remember the names of a lot of the boys in the photo – and the teachers!” Thanks to Barry, we have been able to add some names to the comments below the image. See the original photo here. Estelle finds herself in the picture! 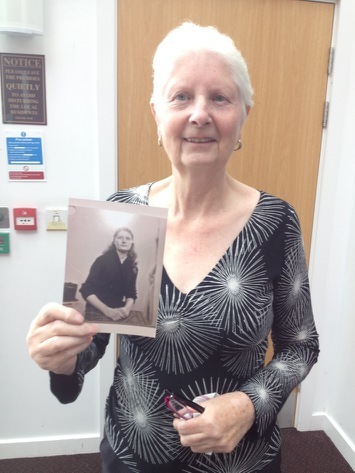 A woman from Cheetham Hill was amazed to discover a photo of herself in our collection, taken sixty years ago. 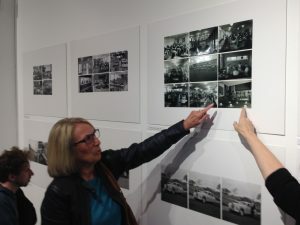 Estelle Szablinskyj was visiting the Ukrainian Cultural Centre when a friend showed her the image, after recognising her. “I don’t remember having the portrait taken but I must have been about 17 at the time,” said Estelle. 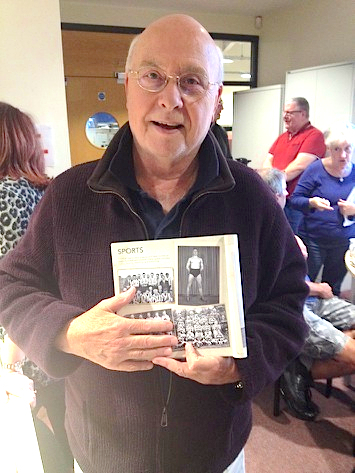 “Everyone loves the book and has been passing it around at the Centre. My friend spotted me on the website and printed out a copy to show me.” Estelle was born in Chestnut Street, Hightown in Cheetham Hill and her husband was Ukrainian. She has been going to the Ukrainian Centre since she was a young woman and used to dance there. See the original portrait of Estelle here. 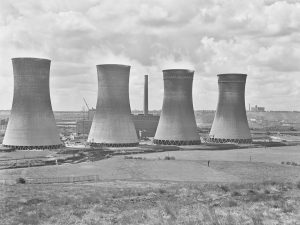 Paul Blain got in touch with us to say he would like to contribute some of his own family’s photographs of Ordsall, after looking at the collection. The photographs are of large family groups on Napier Street in Ordsall, and they show the back-to-back terraces before they were demolished, shortly after these photographs were taken. See Paul Blain’s photographs here. Inspired by looking at the collection, Eddie Weinstein invited his childhood friends Graham Kraft and Harvey Goldstein to come and look at the photographs at Higher Broughton Community Hub. 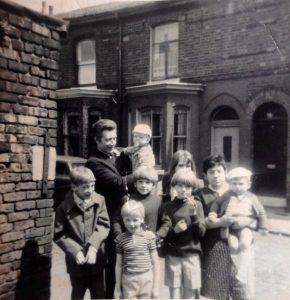 See here for the photograph brought in by Eddie, of himself and Graham as children in Trafalgar Street, Lower Broughton, Salford. They all lived in the same street from the 1940s to the 60s. We also have memories from Harvey, Eddie and Graham in our Memory Book section. Eddie Weinstein lived in the Hightown area, where many of the streets were demolished from the mid to late 60s. His family lived on Vernon Street, as well as Trafalgar Street in Lower Broughton and Cheetham Hill. He remembers many of the shops and locations along Cheetham Hill Road, some of which are recorded in our Memory Book. See Eddie’s family photographs here. 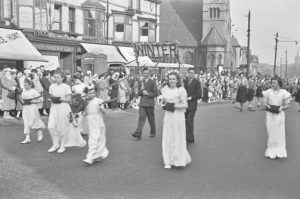 Jack Heggarty brought two amazing photographs, one of Sussex Street School, Lower Broughton, in 1931 and another of a Coronation party in Beach Street, Lower Broughton, 1953, see the images here. Jack has contributed many memories to our project in recent years of his family’s life in Lower Broughton. “We were in Marlborough Road Methodist Guides and I went to Marlborough Road School. All the girls in the photo were in the Guides together for about 5 years, from when we were 11 until we were about 15. 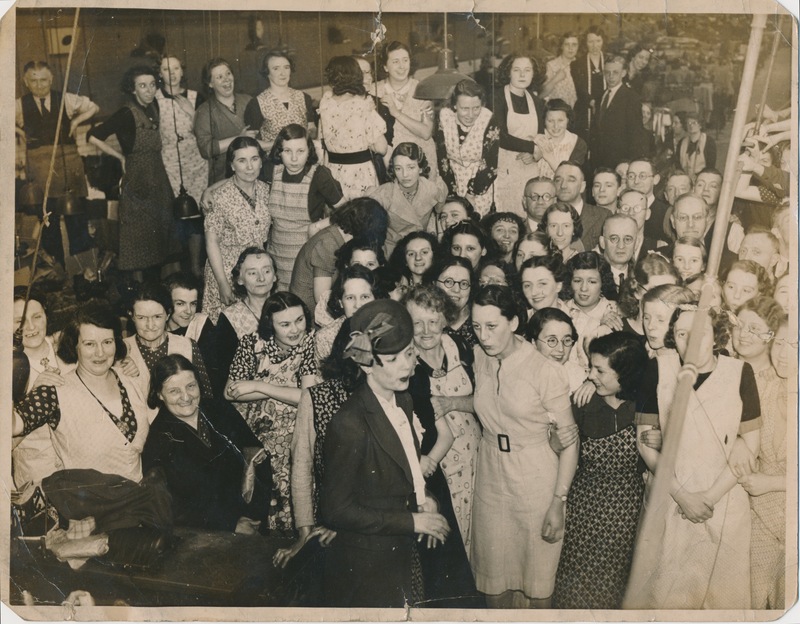 We all went away together to a Girls Friendly Society in Morecambe. The Lieutenant (woman at front right, see photo here PMC13016) was called Mrs Norris, and her sister (on the left) Miss Bates, was the Captain. Olwyn also identified (from the left) Shirley Prince (Olwyn’s friend), Rita Cowey, Brenda Keyes, Alma, Mrs Norris, Jean McGinty, Jean Hughes, Olwyn Hurst, Doreen Brown and Elsie Voyce (photo on right, PMC13017). Jean McGinty, behind the leader, was the daughter of a well known chucker-outerer at the Devonshire Picture House! It’s not there now”. 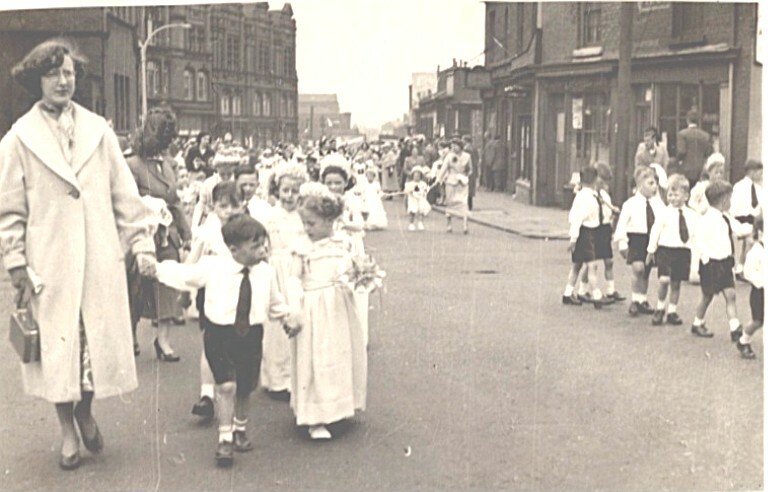 This Whit Walk photograph shows Wellington St. Primary School, sent by Helen Wolfenden. Her Mother had her first teaching job at the school. 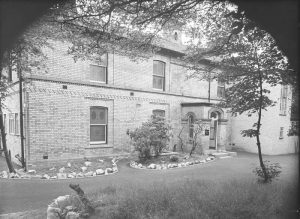 She met her husband, Willie, while working at Salford Grammar, who was a caretaker there. 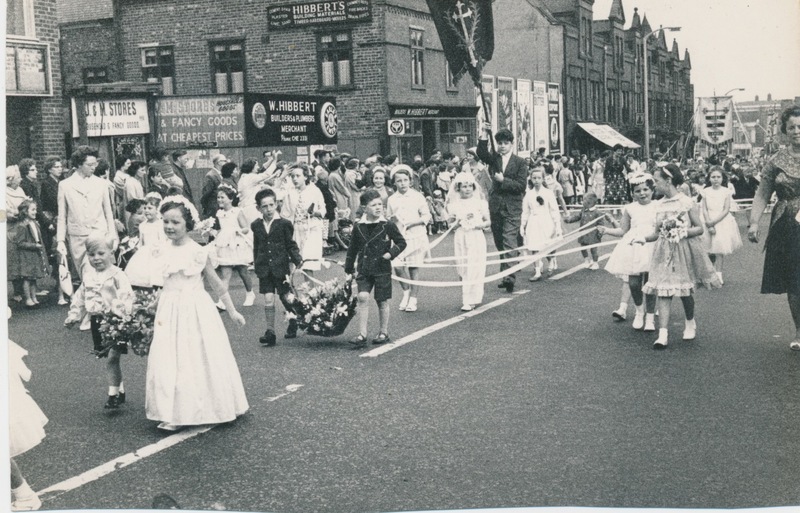 Helen sent us some other amazing photographs of Whit Walks and family life in Brindle Heath, see here for her collection. 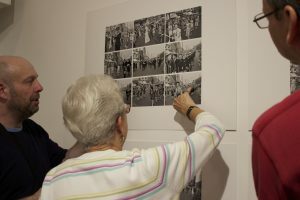 After spending a year helping to clean and catalogue the collection’s thousands of negatives, project volunteer Barbara finally found herself in a school photograph at our Salford Museum and Art Gallery Exhibition. See Barbara in foreground in our News item here. Chris Rowland too part in the Whit Walks in 1951. He came into Salford Museum and told us “I broke my leg in Mandley Park on a scooter, I went into a wall. I had it set in plaster at the Jewish Hospital and I attended the Walks at this time. We walked as part of the Unitarian Presbyterian Church and with the Cubs’. 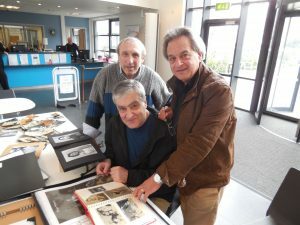 You can see Chris pictured here on the photograph he found in our exhibition (Chris in walking on the right of the front row, you can just see his plaster on his left leg). The bakery was founded by the singer Elkie Brookes’ Grandfather, circa 1911. Many people remember the bakery located at the heart of the community, just off the crossroads of Cheetham Hill Road and Halliwell Lane. 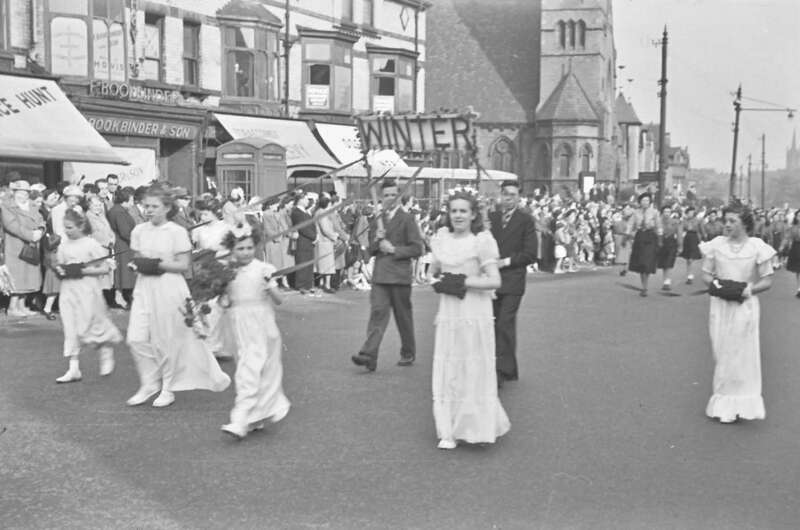 This photograph shows the front of the shop in June 1951, during the Whit Walk processions. 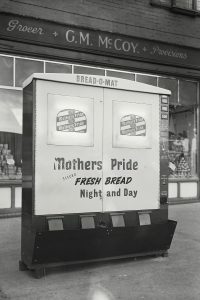 The collection also shows the shop in many other Whit Walks photographs in the Churches and Whit Walks category, and we also have the inside of bakery, which you can see here in the Work and Industry category. Elaine Brown’s family lived in the Cheetham Hill area in the 1950s and 1960s. She went to St. Marks Church, which is featured in our archive in the Churches and Whit Walks category. 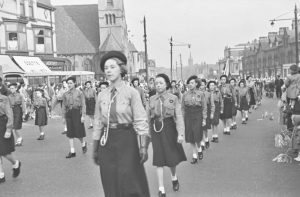 She was Head Girl in the choir and walked in the Whit Walks processions. Elaine has sent photographs of her brother Michael, her Foster Mother Jean Allen, as well as photos of the family. See Elaine’s collection here. 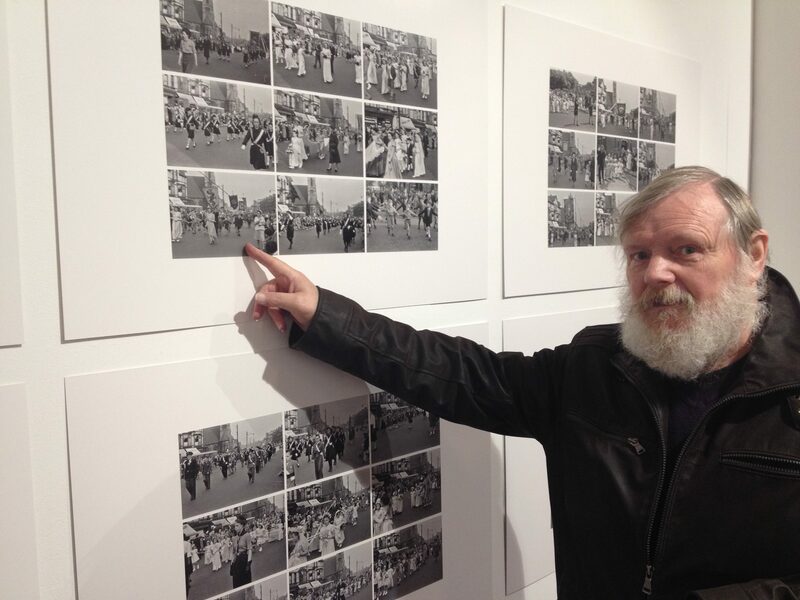 Barry called in to our Salford Museum and Art Gallery exhibition and brought with him photographs of his old schools. 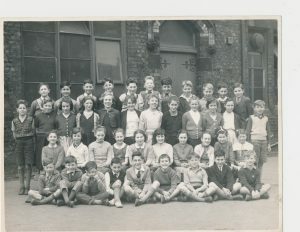 Barry attended Cheetham Hill Methodist School and Heath Street School between 1951 and 1958. 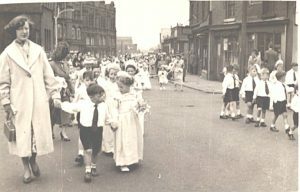 Bernard (right) left Cheetham Hill in 1956, after living in Greenland Street, Cheetham Hill. He had not seen Marjorie Maddison, who lived in nearby Ollier Street, since then. They met by chance when visiting our exhibition. Marjorie’s brother, Jim Hobson, was Bernards best friend. Bernard said “Jim got me my first job at Dodd Engineers, he put a word in for me when I was 16 to get an apprenticeship. I was also best man at his wedding the year I left Cheetham Hill”. Marjorie explained that Jim had always wondered where Bernard had gone to. 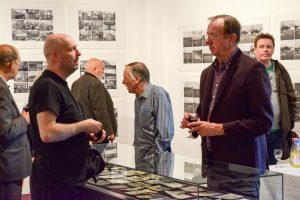 Sadly, Jim has recently passed away, but the two families are now keeping in touch having shared many stories at the gallery. “My mother was a sewing machinist. She started work for Emanuel Raffles when she was 14 in 1927. Emanuel Raffles was born 1894 so he would have been 34 years old then. There were four machinists, one named Mariah, a cutter and Emanuel himself. He opened a factory in Ancoats and went on to employ a thousand workers. Mariah was the Forelady and my mother trained the new machinists. They went on to become a main supplier of raincoats to Mark’s and Spencer. 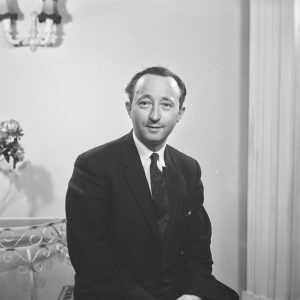 Emanuel’s son Ralph married Sally Sieff dàughter of Lord Sieff, the S in M&S”, Dorothy Moss. See here for Dorothy’s family photos of her self, her father and mother. Both her and her Mother are wearing dresses Dorothy’s mother made for them. Denise Stallman sent us her photographs of Cheetham Hill Road and her family taken between the 1930s and 40s. 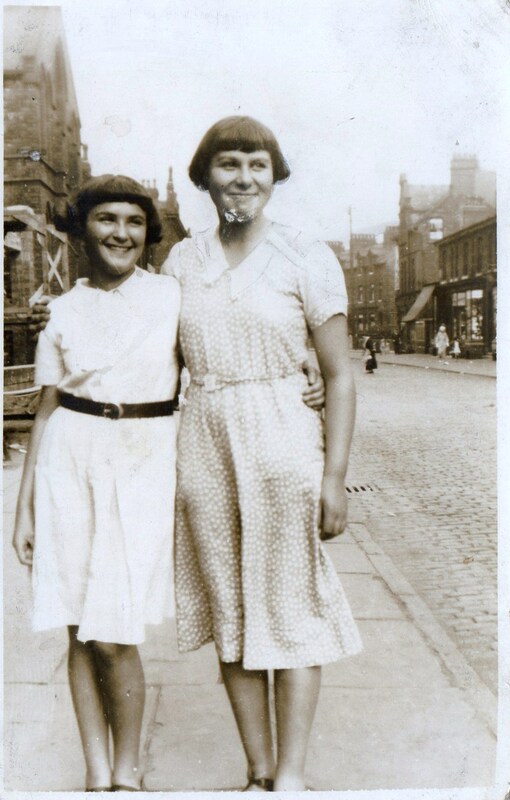 This photograph was taken near St. Chads Church of Denise’s Mother, Sylvia Hardman (nee Lazarus) and her friend Mamie Glasburg, taken in 1932. Denise’s maternal Great-grandfather Joseph or Jacob Lazarus who came from Jedwabne in the Lomza district of Poland, near Bialystock. 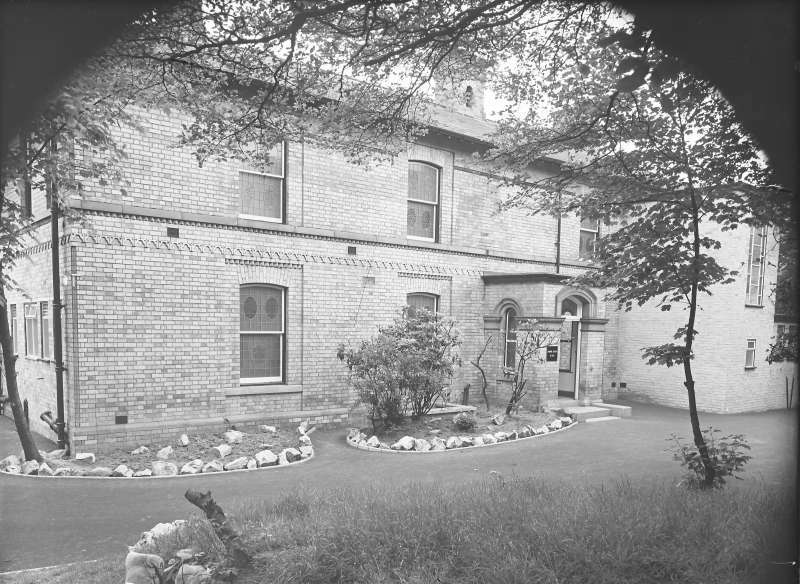 He lived on Elizabeth Street and at other Cheetham addresses. He worked as a Hebrew teacher and a cabinet maker. See our collection of furniture made in Cheetham Hill in our Furniture Category. See more of Denise’s personal photographs here. 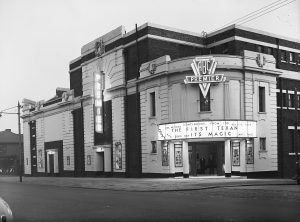 The Premiere was one of a number of cinemas in the Cheetham Hill area, including The Greenhill, The Odeon (Riviera) and The Shakespeare. Marjorie Maddison was a member of the children’s ABC Minors Club at The Premiere. Please see her badge collection here and see Oral Histories for her reciting The ABC Minors song. Also see The Memory Book for the lyrics. See the Cinemas category for more images of The Premiere and Odeon, Cheetham Hill. Marjorie brought this photograph to the Gallery. She thinks it’s either Mandlebergs or Frankenbergs textile factory. The photograph records a visit by an opera singer (foreground wearing a hat), possibly Kathleen Ferrier. If anyone recognises the photograph, the place or the people, please add to our Memory Book. See more of Marjorie Maddison’s personal photographs here. 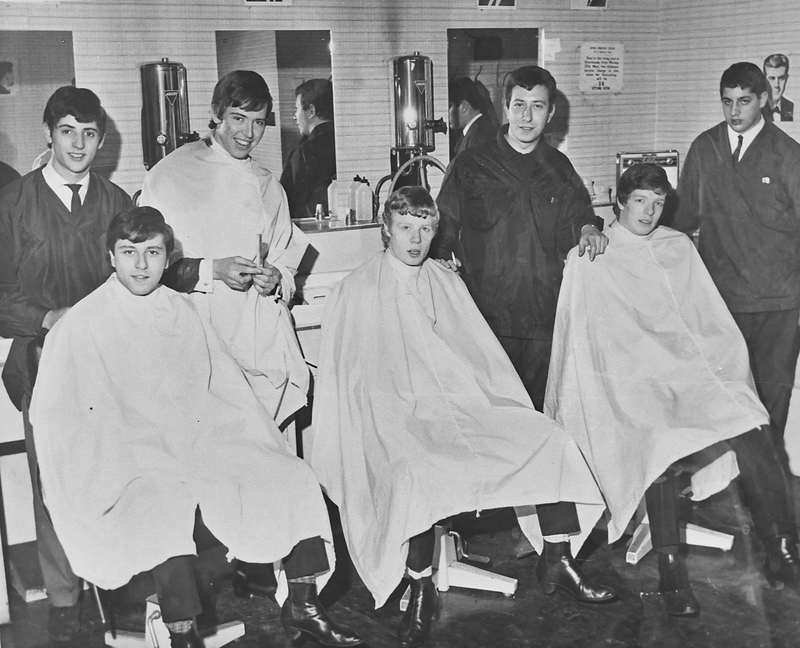 “That was a very famous barber shop run by Alan Powel, and those boys are the Four Pennies. They did quite well in the 60’s with hits like Juliet. And thats my brother Alan Goldstone!” Gerry Stone. See Gerry’s own photographs here. (top left, Alan Goldstone, 3rd right top row, Alan Powel, far right, trainee, Danny Brown). Ronnie Mac from Mac Brothers Tailors, Great Cheetham Street East. 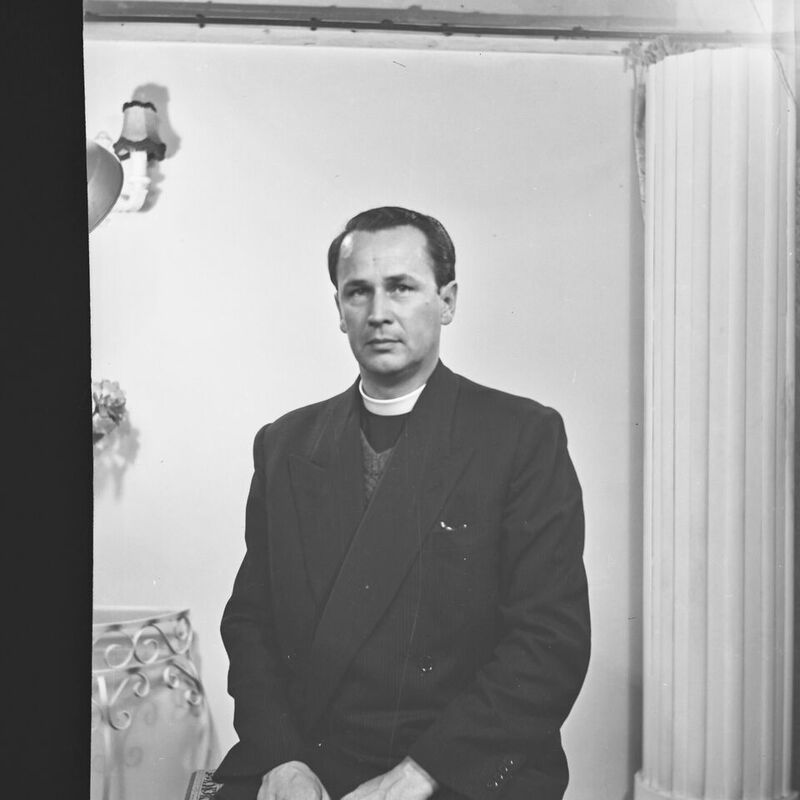 See more photographs in the Portraits of the 1950s and 60s section. 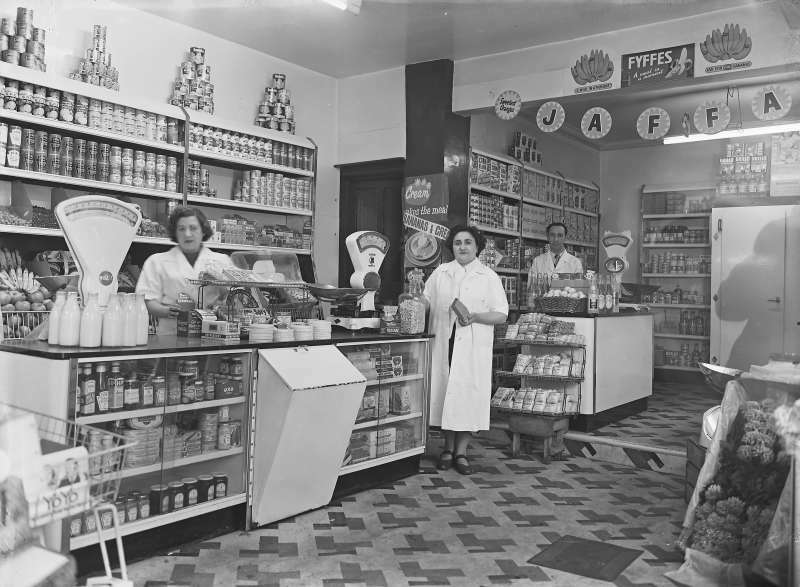 Annie Britsone, pictured in the centre of the photograph in Britstone’s Grocers shop, 114 Cheetham Hill Road. Lionel Cramer remembered the shop when visiting our exhibition at Salford Museum and Art Gallery. Do you remember any of the people in the photograph? 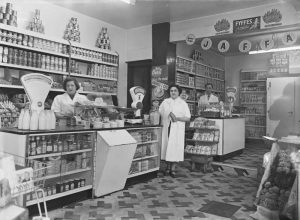 The shop was listed in a street directory of 1965 as Harry Joseph Britsone’s Grocers. See more photographs in the Shops section. 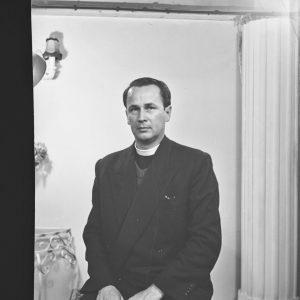 Father Hawryliuk was a Priest in the Ukrainian community in Cheetham Hill. 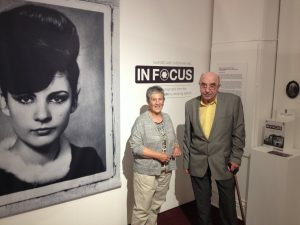 A visitor pointed this out in our exhibition at Salford Museum and Art Gallery. If you have memories of him, please comment on our Memory Book page. 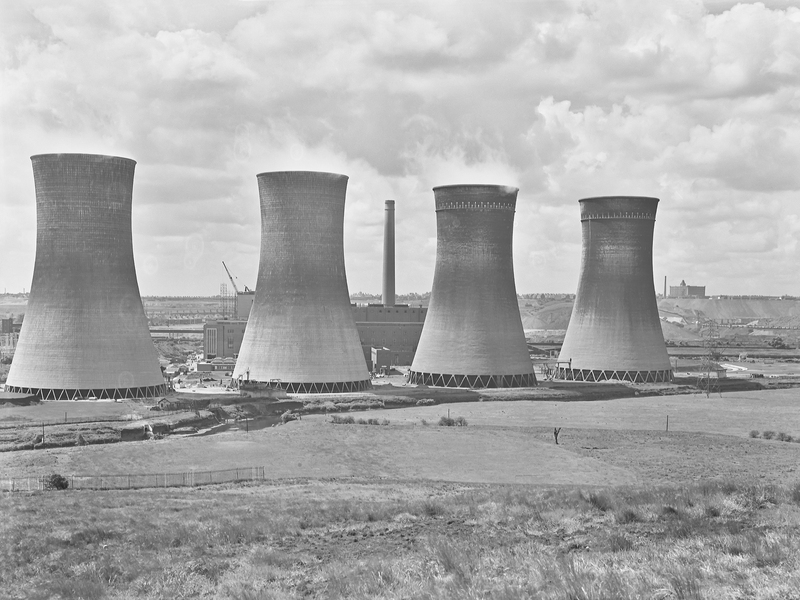 Until their demolition in 1994, the cooling towers were a part of Salford’s iconic landscape. Blanche Carson remembers them; ” The two on the right were the original ones, you can tell because they have more detail at the top. I remember the other two being built. Me Grandmother lived on Agecroft Road West and you could see them from there, and you could see the chimney”.